The Untangled Pro is a beautifully crafted Bluetooth headphone, smartly designed for your family's convenience. We wanted to eliminate the need for wires, giving children the freedom to move, and make everyone's lives just a little bit more fun. High quality, Bluetooth wireless headphones, sized for kids 4+ and compatible with nearly all Bluetooth devices. 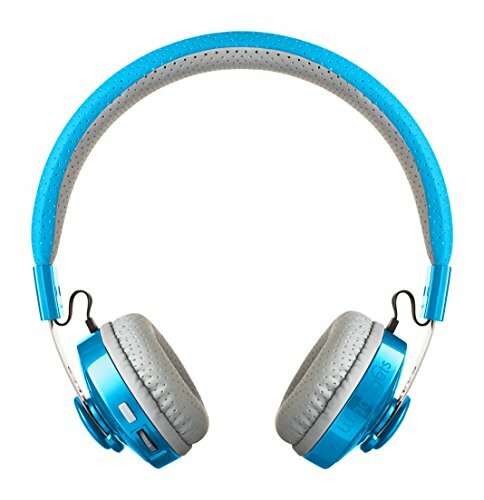 Offered in six wonderful colors and now with our one-of-a-kind SharePort® feature allowing one headphone to be connected wirelessly and others to daisy-chain so all listeners are untethered from the device. Our ear pads and headbands are covered with our specially designed SoftTouch breathable mesh material for your child's comfort. And the ear pads are manufactured with children in mind -- we use some nifty engineering to make sure the ear pads won't fall off. Developed, designed, and tested with kids of all ages to ensure durability of the final product while maintaining style and comfort. Every headphone comes with our 100% LilGadgets Satisfaction Guarantee. We believe that you'll love the way these look, sound, and feel. 12 hours of battery life with a 180 hour standby. A USB charging cable is included to rejuice. Also, we include a 3.5mm cable so even if you outlast the battery, you can still listen on them the old fashioned way. Every headphone also comes with a micro-fiber travel bag to make transporting easy and so you have something to clean your device screens. If you have any questions about this product by LilGadgets, contact us by completing and submitting the form below. If you are looking for a specif part number, please include it with your message.